For the first time since the state began the direct election of senators, California voters will choose between two members of the same party for U.S. Senate. 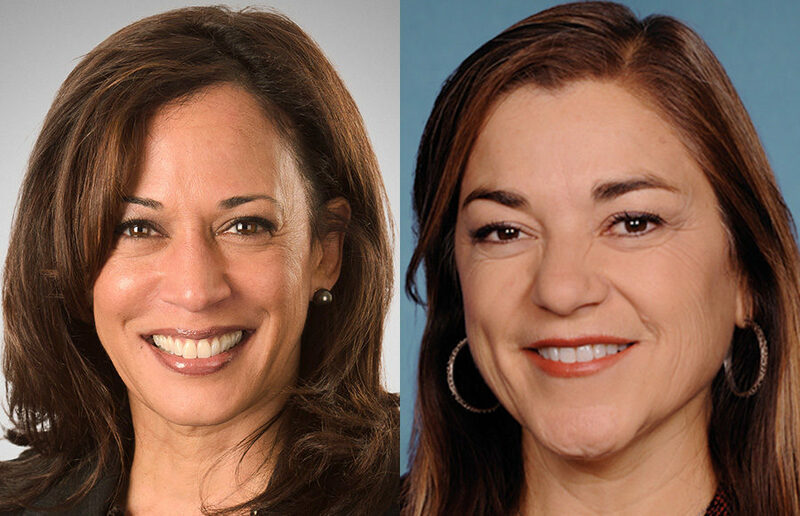 Current state Attorney General Kamala Harris and U.S. Rep. Loretta Sanchez — both members of the Democratic party — are running to fill the vacancy left by U.S. Sen. Barbara Boxer, who has served as one of California’s senators since 1993. Boxer announced in January that she would be retiring. During Boxer’s time in office, she sponsored bills such as the Omnibus Public Lands Package, which designated thousands of acres of land in California as wilderness, and sat on the Ethics, Foreign Relations, and Environmental and Public Works committees. Sanchez has represented her Orange County district in the U.S. House of Representatives since first being elected in 1996 and has sat on both the Homeland Security Committee and the Armed Services Committee. She co-sponsored the Student Loan Affordability Act, which capped federal student loan interests rates at less than four percent. Harris has served as the attorney general for California since 2011 after having previously worked as the district attorney for San Francisco. She has also written a book — “Smart on Crime” — about criminal justice reform. Sanchez has been endorsed by 22 members of Congress as well as conservative radio host Hugh Hewitt. Harris has received endorsements from President Barack Obama and Gov. Jerry Brown as well as the Cal Berkeley Democrats. The campus student group first endorsed Harris before the state primaries in July. 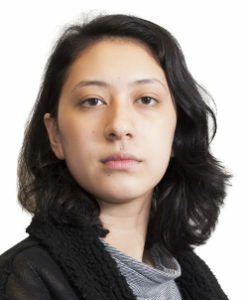 Harshil Bansal, the political director for the Cal Berkeley Democrats, said concern about a comment from Sanchez regarding Native Americans influenced their endorsement. 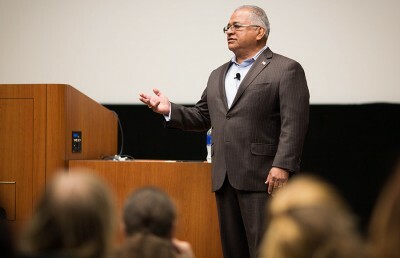 In May, Sanchez mimicked a racial stereotype of Native Americans at a meeting with an Indian American group. 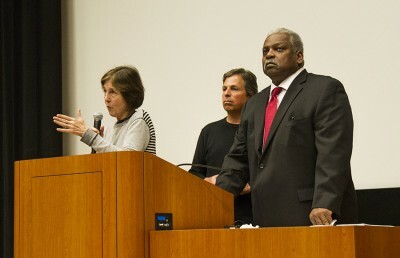 The gesture drew criticism from Harris and other groups at the time. While both candidates come from the same political party, they present diverse solutions to the issues facing Californians and the United States. On issues particularly relevant to students, Harris and Sanchez disagree about the best ways to improve affordability and accessibility in higher education. Harris said she supports free community college for students. She has voiced approval for Obama’s America’s College Promise plan, which proposes two years of tuition-free education. Sanchez, meanwhile, supports reducing the cost of community college. “Sanchez will bring the cost of community college down to five dollars a unit,” said Katarina Ioannides, a staff member for Sanchez’s campaign, in an email. Ioannides added that Sanchez has experience working to improve community college affordability, noting that the community college in her district — Santa Ana Community College — offers the first year of classes tuition-free. The two candidates also disagree about the role of for-profit colleges. Harris denounced these types of institutions during the Oct. 5 debate and in her platform, promising to oppose colleges that pursue profit without adequately preparing their students for future careers. Sanchez, however, disagrees with Harris’s denunciation of all for-profit colleges. During the debate, she contended that those institutions provide a valuable service for individuals seeking access to higher education. “People who go after with just a brush of ‘all of these schools’ do not understand … the diversity of education that we need,” Sanchez said during the debate. Additionally, both candidates have addressed the Federal Pell Grant Program during their campaign, a program that provides need-based aid to students for college tuition. At UC Berkeley, 33 percent of undergraduates receive financial aid from the Pell Grant program, according to the campus financial aid website. This year, Sanchez co-sponsored the Creating Higher Education Affordability Necessary to Compete Economically Act, or the Middle Class CHANCE Act, which would increase the maximum amount of the award and provide for year-round funding. 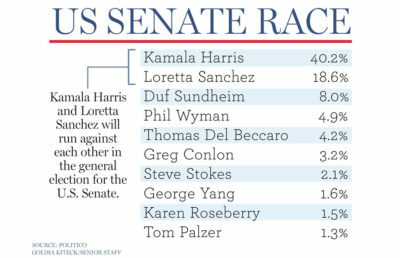 “(Harris) would support increasing the size of Pell Grant awards to ensure students and families can keep up with the rising cost of college and modernizing the program to ensure more equitable access,” reads Harris’ platform. Elections will take place Nov. 8. Patricia Serpa covers higher education. Contact her at [email protected] and follow her on Twitter at @pserpa_dc.